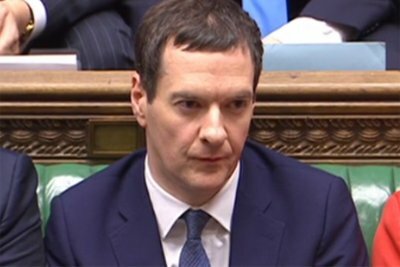 George Osborne has delivered his eighth budget. When he had finished, he sat down to Tory cheers, but outside the confines of parliament the yawning chasm between those that have and have not grew even wider. This was a bankrupt budget by a failed chancellor. While much is being made of Labour’s shift to the left, what we are actually witnessing is a complete polarisation of British politics. Both of the main parties are abandoning the centre-ground at a rate of knots. A fact only Corbyn’s Labour is prepared to be honest about. Meanwhile Cameron and Osborne continue with their pretense of speaking up for ‘middle England’, whatever that is. Surely their game is finally up. Can there be anyone left who can’t see right through this charade? This is without doubt the most right-wing Conservative government in my lifetime. Next: Next post: #CutOsborne: suspected terrorists @Dis_PPL_Protest occupy Parliament!